The Harry Potter series is more than just a story about a young wizard who saves the world from He-Who-Must-Not-Be-Named. The seven-book saga is an excellent primer on spying, intelligence, and politics. Join spy novelist Lynn Boughey and thirty-six-year CIA veteran and executive director of the International Spy Museum Peter Earnest as they review the spy craft employed and celebrated in J.K. Rowling's bestselling books. 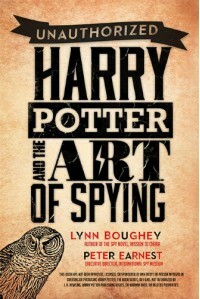 From the invisibility cloak to house passwords to Fred and George Weasley's Extendable Ears, "Harry Potter & the Art of Spying" is full of spy lessons for the secret-agent-in-training in the Muggle realm. Learn how to break secret codes, gather intelligence, read character's motives, and why Severus Snape is the best double agent ever. I generously received a review copy of this book in exchange for an honest review. I love the Harry Potter series; I began reading the series when I was 19 years old and since then have read each book a minimum of two times...most of the time, more than that. I get excited whenever I'm reading a book or watching a show or movie and there is a reference to HP. So obviously I was extremely excited to get my hands on this book. I immediately began reading it and within a few pages, my excitement turned to annoyance and then to boredom. 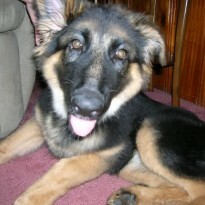 The annoyance was caused mostly by the excessive use of the exclamation point. This is a serious pet peeve of mine. There is no reason to use it more than one time per page...and even then it's still too much. Nearly every other sentence ended with an exclamation point. It was exhausting to read. I felt like I was being shouted at. Then the boredom set it when I realized that the first half (plus) was dedicated to a single novel in the series. The authors proceeded to tear apart the novel page by page and analyze it in spy speak. By the time they got around to even mentioning any of the other books in the series, I was finished. I had no desire to read more of the book. I had gotten way too bogged down by the page by page commentary of Harry Potter and the Order of the Phoenix. I tried taking a break and coming back to finish this up but after the second attempt at this, I realized that it was not worth it. Somehow the authors managed to take one of my favorite series of books and completely ruin the magic of them for me.